Staying fit and healthy is very important after pregnancy. Postpartum maternal fatigue is one of the aftereffects of a difficult labor. A study showed that Pilates can significantly reduce this condition. Pilates classes focus on dealing with issues which may have arisen during pregnancy and labour, in particular, it targets the weakened and stretched abdominal muscles known as the pelvic floor. Furthermore, it’s a great way for mums to take some much needed time out away from the busy life that comes with being a new mum. Providing you stick to the advised time period post-birth, Pilates is an extremely safe form of exercise for new mums. The current guidelines advise waiting 6 weeks for a vaginal birth and within the region of 8-12 weeks for a c-section. Once you’ve passed these timescales, you’ll be ready to start building up your inner core strength in a safe way, ensuring that long-term your body is prepared to take on everyday physical tasks with maximum ease. A study of 2000 British women reported that as many as 82% of women were unhappy with their post-natal bodies. This is perhaps not surprising considering the growing pressure from the media to be the ‘perfect’ mum and ‘have it all’ along with the rising challenges that every new mum faces. The benefit of post-natal Pilates is that it teaches you to focus on what is happening from within your body, so you are not just fixated on your physical appearance. Pilates will teach you to listen, understand and re-connect with your body as you exercise. Pilates shows new mums how to focus inwards and become more aware of their bodies. It offers the opportunity to learn how to gain mindful control of core muscles and this in turn is an excellent way to speed up post-natal recovery. Around 60% of women will experience DR during pregnancy. DR is the separation of the rectus abdominus, usually around the tummy button area. Through Pilates, women can strengthen abdominal muscles and avoid further issues down the line such as back pain or sciatica. Pilates emphasises on the deep abdominal muscles, in particular the transverse abdominus, which helps to stabilise the lumbar spine and deal with back issues. Pelvic floor exercises are an essential part of any postnatal Pilates programme These exercises also help deal with post-natal issues such as stress, incontinence and other problems that may have arisen such as a prolapse. Pilates teaches women to reconnect and strengthen pelvic floor muscles to help improve posture, core strength and stability. Noticeable gravity pulls especially during the breastfeeding period, makes mum struggles more with posture. Most cases need neck and shoulder alignment reeducation so the upper body stabilisers are switched on when working. Rotator cuff muscles are supporting the shoulders. As baby grows, even more so important to understand how to stabilise before ie lifting. Continuously using one arm to hold the baby, will dramatically impact on the whole body balance. Mums must maintain strengthen arms, pecs, back not to mention core so the back is safe. Neck misalignment does impact the lower back and should be addressed as part of the spine. Not only does post-natal Pilates greatly improve overall body conditioning, it will stretch and strengthen you in the right places. The focus is on assisting post-natal recovery as opposed to making new mums work so hard they’re too tired to do anything at the end of it. In turn, it can have a very calming effect on a person’s mental state which is invaluable for those busy mums looking to de-stress and re-connect with their body. Post-natal Pilates is sociable. Classes will be full of other mums, often looking for the chance to socialise, meaning you can meet and chat with like-minded people experiencing similar situations to your own. 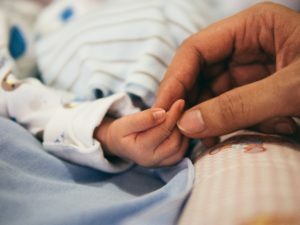 Furthermore, classes will provide some much needed ‘me’ time, something that can prove invaluable during the first few weeks of motherhood when time away from your baby can be precious. Book your 1st postnatal reformer class @ Hope Pilates Studio’s. Bonus: 24hr telephone support, breathing/relaxation techniques and a mum and baby bonding session. During the sessions, focused on Diastasis Recti restoration and strengthening Pelvic girdle. If you understand the importance of rolling through with this program, let’s make this happen! Classes have a 1:1 feel as there is a maximum of 3 in every session, minimum of 2! Personal Touch: Happy to treat you in the comfort of your own home or you can create a class with a few friends at the studio. All small Pilates props necessary will be provided by Hope Pilates. Book now and receive first class care from Hope Pilates.